Все, что Сын Человеческий говорит заслуживает доверия! Was schreit denn Abels Blut? Es schreit: «Strafe! Rache! Vergeltung!» Und so schreit alles vergossene Blut auf der Erde. Und was redet Jesu Blut? Es schreit: «Gnade!» Welch eine herrliche Tatsache! Sooft mein Gewissen mir bezeugt, dass ich vor dem heiligen Gott nicht bestehen kann, flüchte ich mich im Glauben unter Jesu Kreuz. Da ruft Sein Blut «Gnade!» für mich. Und es schreit so, dass Gott die Ohren davor nicht verstopfen kann. Hitler's allegiance was to Satan, not the Author of life. He chose not to submit to the will of God, unlike Saul of Tarsus who had a real encounter with the risen Lord. Are you a serious student of the holy Bible? If yes, what are you going to do with the words of Jesus? Remember, you can’t throw them away and treasure them at the same time! When an unsaved man is imprisoned by selfishness and a teacher shows him the way of selflessness. That is a miracle. Do you know who can do this? Your creator can do this. Behold the extraordinary intervention of the risen Lord showing His sovereignty in His rescuing of Saul of Tarsus. We can't crush our iniquities out of ourselves! What we need to do is to wholeheartedly trust Our Saviour who was crushed for our iniquities! Praise the sinless Son of God for His willingness to be crushed for your iniquities. Students of the Koran, the words of Isaih 53:5 from the holy Bible teach the truth about Jesus of Nazareth's suffering on a cross. If anyone desires to believe them they should also make a diligent effort to stop worshipping the false god of the Koran. Searchers for truth, a man needs faith to believe that Noah was a historical person. Wie oft studierst Du die Bibel? 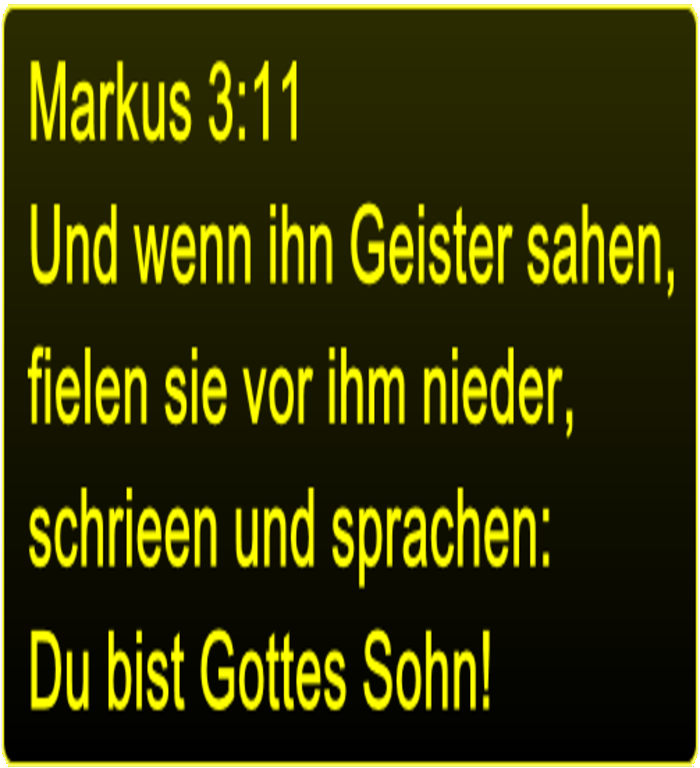 Das Wort Gottes ist eine Segnung! Neigst du dein Ohr zu seinen Worten?